Show Off Your Skills and Laugh All Night Long! By now I know you have seen a lip sync battle video! They are all over the internet, late night shows host celebrities who battle it out to see who has the most entertaining lip syncing performance. There is even a whole show dedicated to lip sync battles! It’s time to put your own lip syncing skills on display in this super fun and hilarious date night! 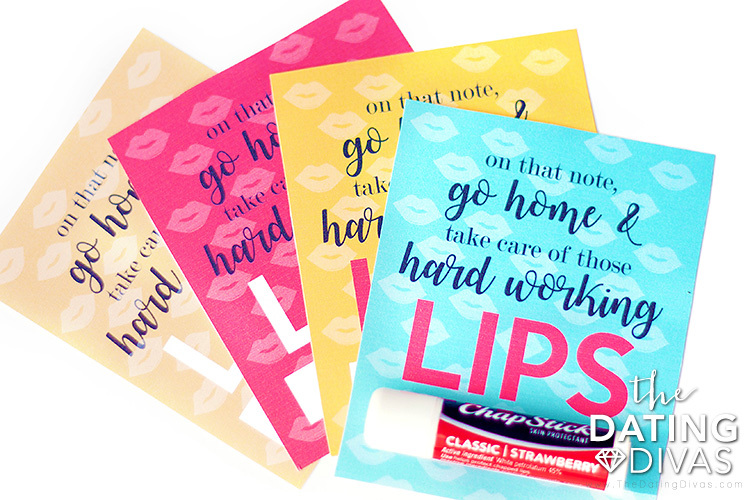 Get a group of friends together, or just grab your spouse and get ready to put those lips to work! 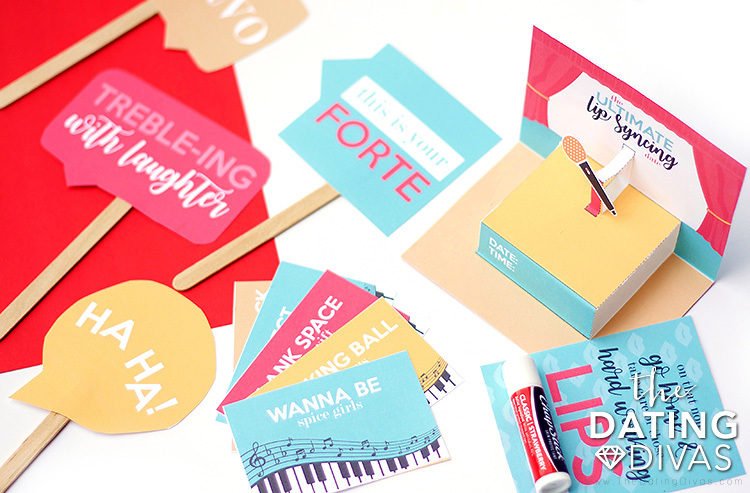 Even if you’re a little timid about getting up and showing off your lip-syncing skills, these printables will convince you to do this date! They are that cute! Carisa at Messes to Memories knocked it out of the park on these designs! Alright! Let’s get to the fun! 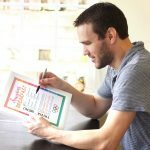 Getting started is a cinch but you might want to pin a few of these pictures to make it even easier! 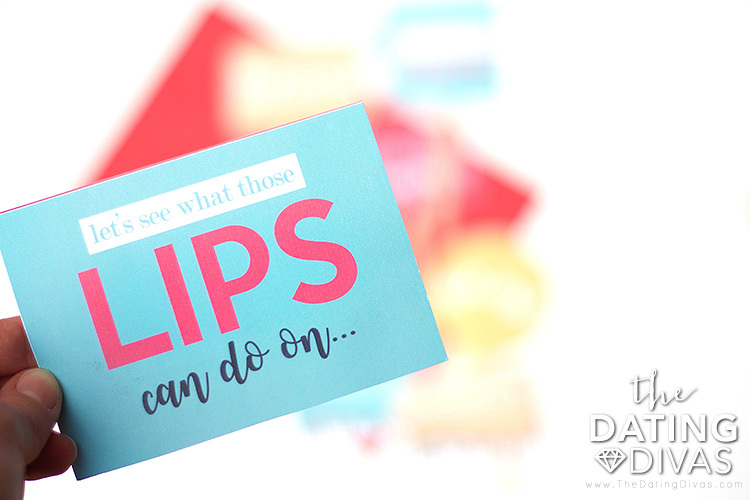 Simply print off and cut out the printables, be sure to grab some nice cardstock. The invitation is a really fun pop-out stage and microphone. Use an Exacto knife, or even just a sharp kitchen knife and cut on each of the dotted lines. Once you have made the 4 dotted-line cuts just crease the paper on each of the fold lines. 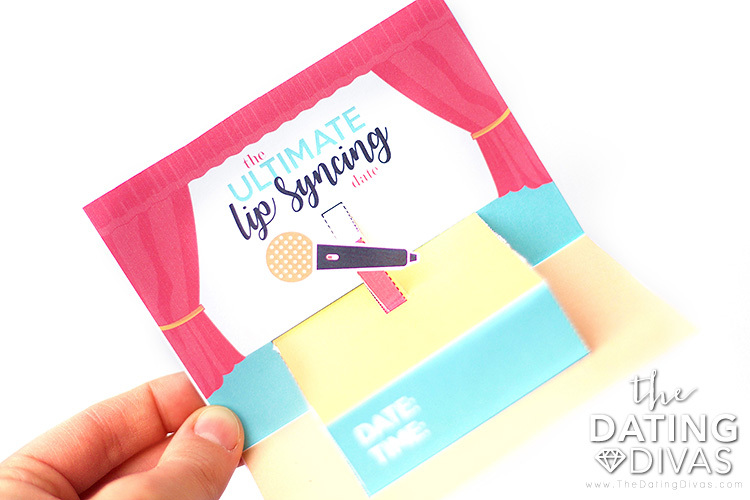 Now, the stage should pop up and you have a perfect pop-out to glue the little microphone from the first printable page onto! Once everything is popping out like it should, glue it to the front of the card. Fill in the date and time—voila! 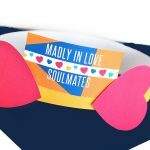 You have now created maybe the cutest date night invitation EVER! 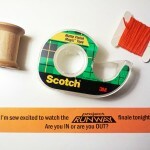 Planning the evening is easy! Couples will take part in various lip syncing challenges. This makes for a great group date, but can also be modified for just you and your sweetie! The first challenge is finding the best lip syncing video out there. Get on your phones or your computers and search until you find the funniest lip syncing video ever. When you are ready, show the group, or each other the video you found. Laugh your heads off at their enthusiasm and truly outrageous dance moves. Pro tip: be taking notes of the best parts of the performances because you’re up next! Now that you are all warmed up, couples will perform their own lip sync performances to a song. 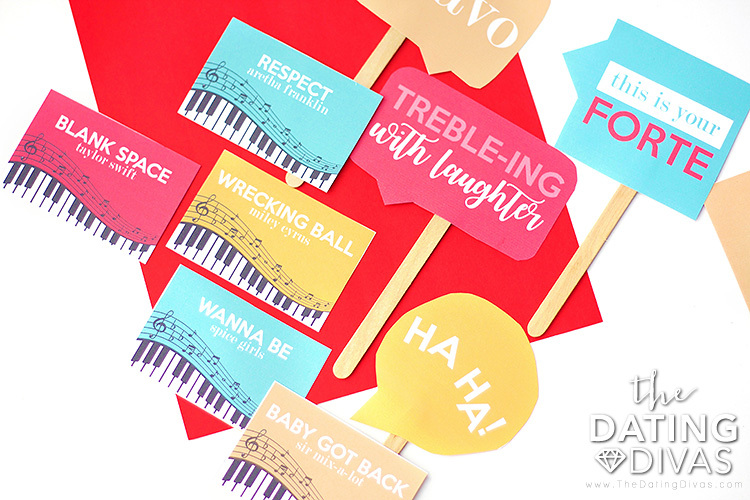 The printables include several iconic songs that will be a blast to lip sync and get down to! 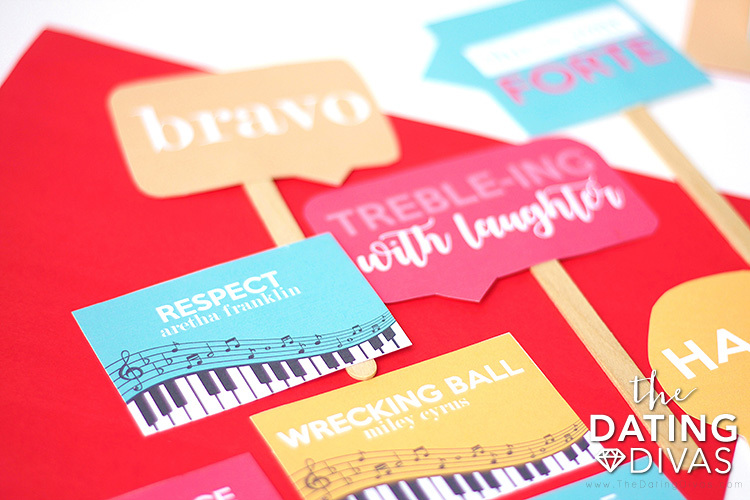 On our group date, I included one of the song cards in the invitations so that the couple could prepare their performance prior to coming over! 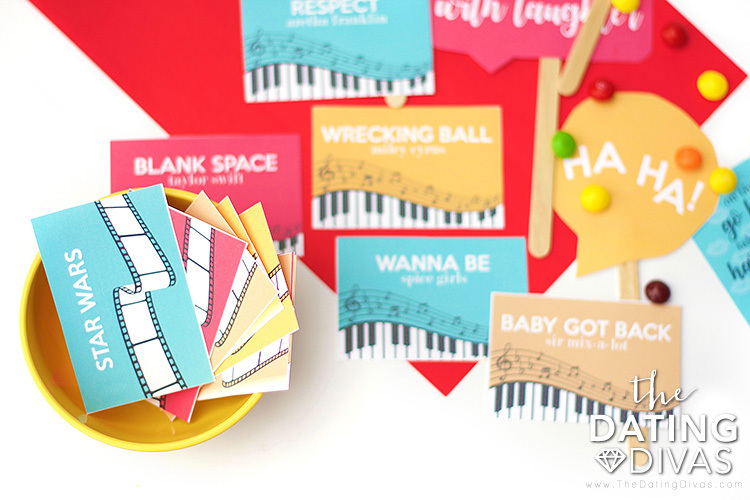 You could also put the song cards into a bowl and let the couples draw one out during the date night for an impromptu performance! 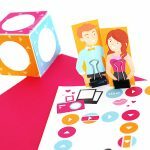 (Save this idea on your Date Night Pinterest Board so you’ve got the step-by-step instructions handy!) You really can’t go wrong! 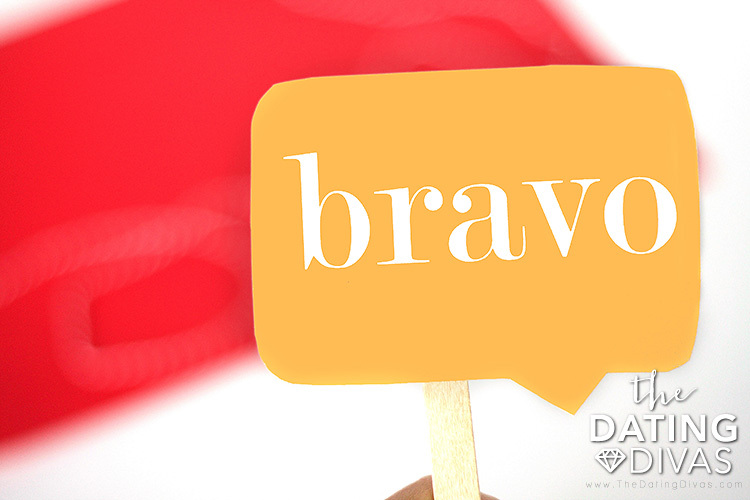 There are even printable signs to cheer on your friends or your date as they brave the stage! Cut them out and attach them to popsicle sticks. Raise your signs high in the air to give your guest a little extra confidence as they undergo the performance of a lifetime! They also make great photo props because you know you’ll need tons of pictures to always remember this night by! Lastly, get ready for some big laughs and some ultra-dramatic performances of famous movie scenes. Put the groups acting skills to the test, by lip syncing alongside movie/show clips. We have included cards with some of the most quoted scenes of all time. Draw one out and give it all you’ve got! Of course, if you don’t know every word in the scene that’s even better—or I should really say even funnier! Enjoy the laughs and the true talent amongst you! 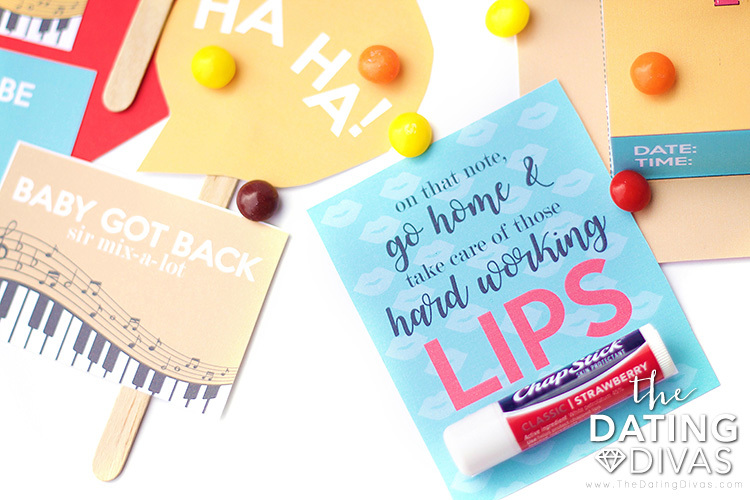 When the evening is over, send your guests off with a lip balm party favor that reads, “On that note, go home and take care of those hard working lips”! You are all going to have a blast! 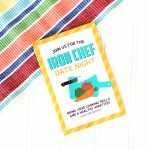 If you live for a good group date night take a peek at these favorites: The Iron Chef Date Night or the Lost Themed Date! This is so fun, Lauren!! And I can totally picture you and David having so much fun doing this date! How cute is that little pop-out invitation with the mic??? What an awesome group date! I LOVE lip syncing!